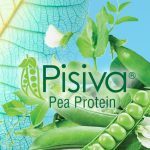 Hill Pharma, Inc.’s Ortiva® Organic Rice Protein 80% is a perfect plant based alternative to animal and dairy based proteins. 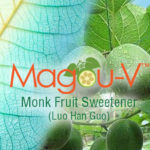 It provides a premium source of quality bioactive amino acids for supplements, functional foods, and beverages. Rice protein is considered to be one of the finest quality vegetarian proteins available. Ortiva® Organic Rice Protein is gluten free and hypoallergenic. Best of all its digestibility is equal to whey protein. Ortiva® has a low flavor profile and is easily incorporated into a wide range of formulations. Research states that rice protein matches the effectiveness of whey protein for muscle growth, muscle mass, and exercise recovery. 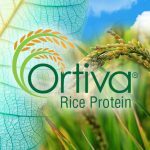 Ortiva® Organic Rice Protein is a vegan, cholesterol, & lactose free alternative to animal proteins like egg and dairy; it is 80% protein rich in branched chain amino acids & low in carbohydrates per serving; it produces peptides that delay the secretion of ghrelin in the stomach helping to suppress appetite and increase satiation; and rice protein meets the essential amino acid requirements for adults according to the World Health Organization. Hill Pharma, Inc. is proud to offer the following products in both USDA Organic and natural non-GMO options.